Jazz on the Rooftop with the Jazz Pilgrims! 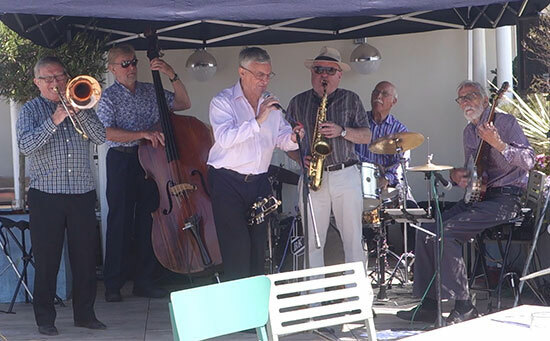 What better way to celebrate the success of Ramsgate Seaside Shuffle’s 2018 sunshine festival than with East Kent based Burt Butler’s Jazz Pilgrim’s rooftop concert with special courtesy of Ramsgate’s brand new Weatherspoons. YouTubes recapturing those magical moments. Jazz&Jazz will shortly feature further festival YouTubes filmed in The Small Boat Owners Club.